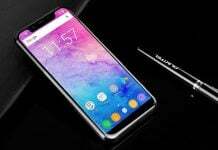 OUKITEL is soon going to be the next brand to join the league of smartphone OEMs that have released full-screen design smartphone. Xiaomi had stunned the world last year by launching the tri-bezeless Xiaomi Mi MIX concept phone. Since then, various smartphone makers have unveiled full-screen design phones. Apple too has launched the premium and pricey iPhone X with an edge-to-edge display. 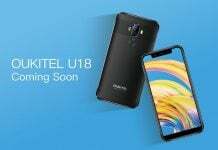 Now, OUKITEL is working on two smartphones called OUKITEL MIX 2 and OUKITEL C8 with bezel-less design. 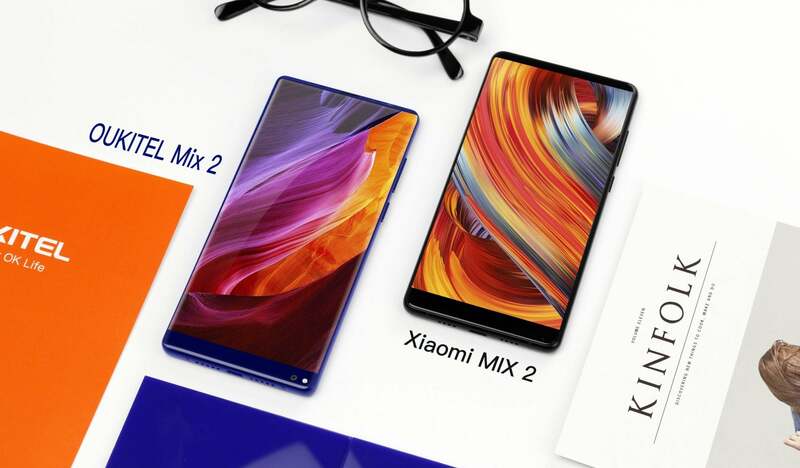 The Chinese company has released a video that compares the marvelous design of the OUKITEL MIX 2 with the recently launched Mi MIX 2. 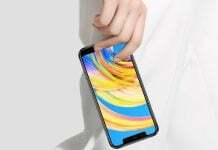 The above video shows that the MIX 2 from OUKITEL resembles with Mi MIX 2. The MIX 2 will be coming with a 6-inch display that will be supporting full HD resolution of 1,920 x 1,080 pixels. Like Mi MIX 2, the OUKITEL phone features the selfie snapper positioned at the left corner of the bottom bezel. It is equipped with an LED flash. The display area of both smartphones appears identical, but the MIX 2 is a slimmer phone than the Xiaomi phone. The rear side of the MIX 2 has a glossy appeal, but its appearance is different from the Mi MIX 2. The OUKITEL phone will be housing the fingerprint scanner on its rear side. The front camera of the OUKITEL MIX 2 is of 8-megapixel, and there is a dual camera setup residing on the backside of the phone. The Mi MIX 2 comes with a single camera on its back. The dual camera system of the OUKITEL MIX 2 includes a 16-megapixel sensor and a 2-megapixel sensor that can be used for SLR-like photography experience. 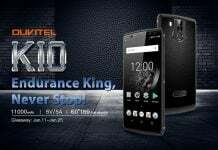 Rumors have it that Helio P25 chipset will drive the OUKITEL MIX 2, but the information will be confirmed in the coming weeks. 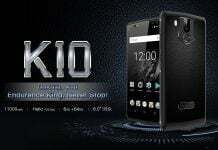 In related news, the OUKITEL will be starting its global pre-sale of the K10000 Max soon. It features an IP68 certified body, a 5.5-inch FHD display, and a massive 10,000mAh battery. It also includes 3 GB of RAM and 32 GB of storage and is driven by MediaTek MT6753 chipset. For photography, it includes a 13-megapixel rear snapper and 5-megapixel front-facing camera. 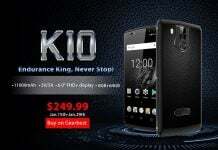 The OUKITEL K10000 Max is priced at $259.99, but through GearBest it can be availed for $199 during its pre-orders. Here is the official product page of the smartphone.